Hot dogs! Hot dogs! Get your hot dogs here! In all seriousness, you’re going to want to get your hot dogs here! 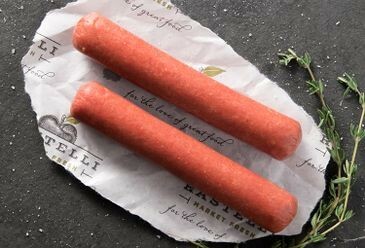 At Rastelli Market, we believe every bite of meat you eat should be the finest, most flavorful available, like the humble hot dog. 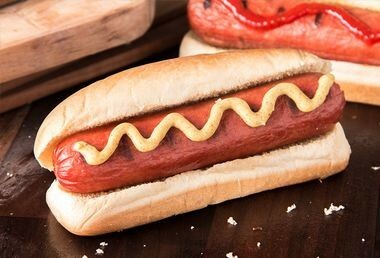 And in that spirit, our gourmet hot dogs bring the best flavor and quality you’ve ever experienced. Don’t be surprised if your grill gives them a round of applause! Whether you’re ordering up some gourmet hot dogs for a cookout, or just stocking the fridge for this week’s lunches, our selection is sure to leave the whole family happy and asking for seconds. Our unique Fiesta hot dogs combine domestic beef and pork with American cheese, all natural spices, and jalapeno peppers for a flavorful kick. Want something more traditional? Our jumbo black angus all beef hot dogs are a summertime staple that we keep fully-stocked year-round! Add a little relish and mustard, close your eyes, and you can almost hear the crowd go wild as a home run soars over the fence.